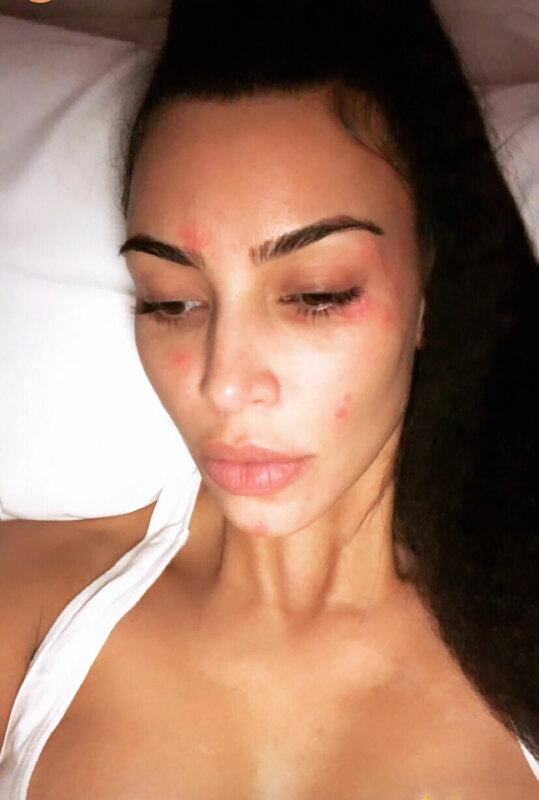 Everything Kim Kardashian Uses for Psoriasis That You Should (and Shouldn’t) Try, According to a Dermatologist - Integration Through Media ....! If you’re one of Kim Kardashian West’s millions of social media followers, you’ve probably noticed her posts about dealing with psoriasis flare-ups. According to the National Psoriasis Foundation, this pesky skin condition is actually the most common autoimmune disease in the U.S. — affecting roughly 8 million Americans — and while doctors have not yet found a cure, thankfully, there are ways to treat it. Kardashian West first revealed her struggle with psoriasis in a 2011 episode of Keeping Up with the Kardashians, and since then, has posted about trying out many different remedies in an attempt to keep flare-ups at bay. According to her social media accounts, she’s tried everything from herbal ointments and seaweed skincare products to a low-acidity diet and detox smoothies. In light of her most recent flare-up — which she shared on a recent Instagram story of a morning selfie with red, scaly patches visible on her face — we set out to examine all the treatments she’s been public about trying out. To see which of these remedies have been medically-proven for effectiveness for treating psoriasis (and which haven’t) we tapped Dr. Debra Jaliman, a NYC-based dermatologist, for some expert input. Here, you’ll also find dermatologist-recommended skincare products and methods that can help minimize symptoms. So if you have psoriasis, you can rest easy knowing that there are ways to manage your condition and get your skin back to a healthy state. If you want to see for yourself, try the Hydrating Seaweed Bath ($5, amazon.com) and the Firming Detox Cream ($12, amazon.com) from this super affordable brand — both of which Kardashian West previously posted about on Snapchat. Another treatment Kardashian West found to be beneficial is light treatment. In late 2017, she shared on Instagram that her psoriasis was “almost gone” after she had been using an at-home light therapy system. While many people can’t afford the pricey at-home device she used — the Quasar MD Plus ($595, dermstore.com) — many dermatologist offices offer this treatment as first-line care for patients with psoriasis and other skin conditions. Ask your doctor to prescribe a prescription ointment, or you can try an over-the-counter hydrocortisone cream, like this dermatologist-recommended option from CeraVe ($8, amazon.com). The reality TV star has also spoken about eating a diet that’s low in acidic foods (like tomatoes and eggplants) in the hopes of suppressing psoriasis flare-ups, but the medical research behind this remedy is questionable. “The foods that are most commonly known to trigger psoriasis are whole milk, citrus fruits, gluten, and fatty foods,” says Dr. Jaliman. “ Although there are some who say acidic foods trigger symptoms, there is not enough research done.” It’s also important to note that triggers are not universal, so “what triggers one person might not trigger another,” Dr. Jaliman adds. If you’re struggling with psoriasis, the first step is to make sure you’re seeing a dermatologist about your condition. Other lifestyle changes that can help keep flare-ups at bay include using a humidifier in the winter (to help reduce dry winter air) and keeping your skin moisturized. Dr. Jaliman recommends using “moisture-rich creams, which keep skin supple, hydrated, and seal the skin to keep water from escaping.” If you want to go the over-the-counter route in treating mild psoriasis flare-ups, Dr. Jaliman suggests a few drugstore products, listed below, that offer anti-inflammatory and moisturizing benefits, and are gentle enough to use on inflamed skin. Bonus — they’re all super affordable.